Hurricane Harvey made landfall in Texas a week ago today, as updates on it’s utter devastation spread around the country and world. The death toll continues to rise as areas of Texas and Louisiana experience severe flooding, with some areas getting as much as 50 inches of rain over the course of the storm. The powerful storm has been compared to Hurricane Katrina in the extent of its damage and the challenges residents will face as the floodwaters recede and rebuilding begins. But like Katrina and many other natural disasters, it’s in the face of destruction that people often show powerful resilience, the importance of community and the necessity of hope. 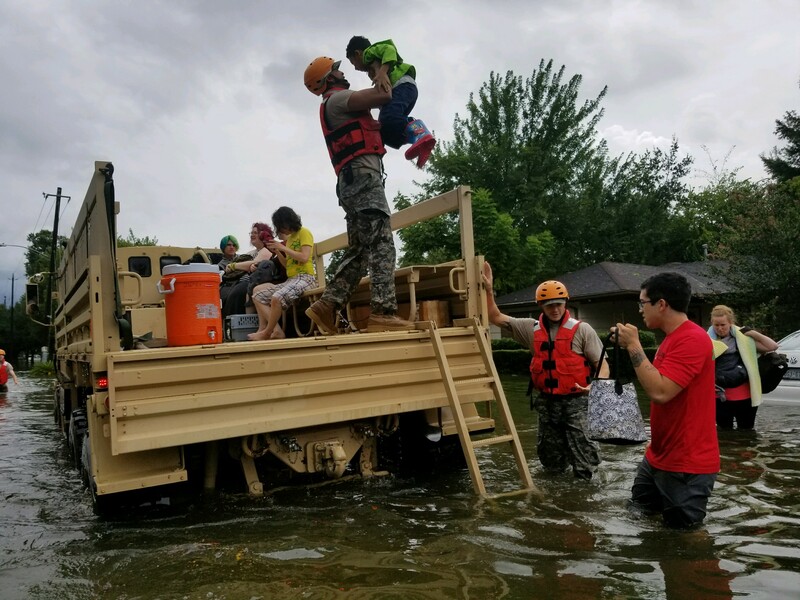 Here are six stories about hope and resilience after Hurricane Harvey and ways you can help people spring back and continue growing, too. Unfortunately, there have been some internet scams circulating that aren’t offering legitimate ways to help Harvey’s victims. Check out this article from NPR on verified ways you can help, from blood and food donation to animal rescue. After Harvey, What Happens Next?